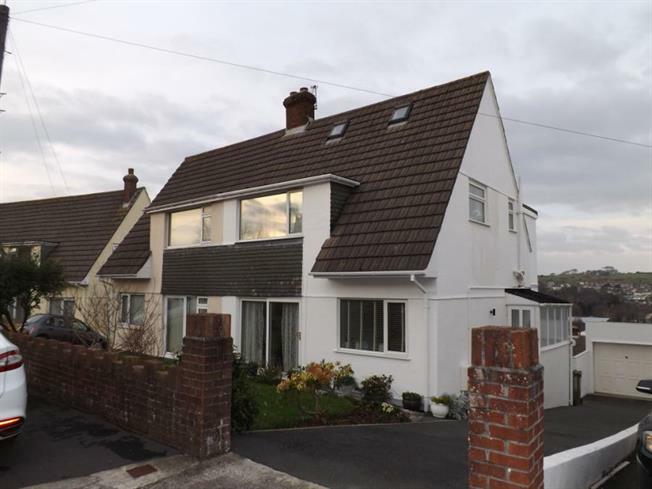 3 Bedroom Semi Detached House For Sale in Plymouth for £235,000. A beautifully presented 3/4 bedroom semi detached house with a loft room. The ground floor has a bright and airy hallway leading to a lounge/dinner, kitchen and dinning room/fourth bedroom. The first floor has a modern bathroom with a separate wc. Master bedroom and bedroom three has fitted wardrobes, bedroom two has views over Dartmoor and built in storage. The loft room has been fitted out as bedroom but could be used as an office. Externally the property has a drive and a garage with a workshop underneath. Garden to the rear is secluded with views over Dartmoor.